Explan. Diagr. Austroechinocactinae 53 (1957). 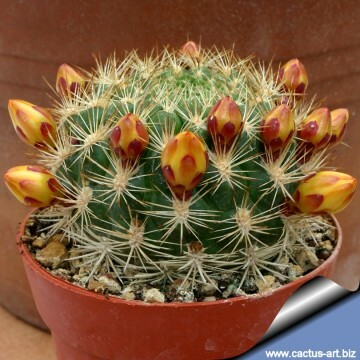 Origin and Habitat: Rebutia neocumingii has a relatively large range throughout the Bolivian Andes mountains where it occurs in Chuquisaca, Cochabamba, Potosí and Santa Cruz (extent of occurrence is 11,500 km2). 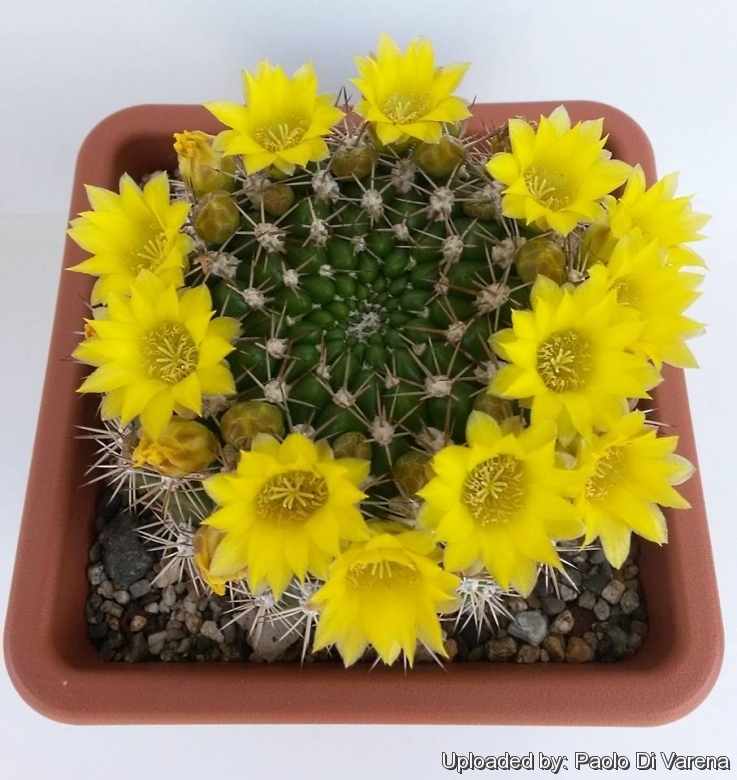 Habitat and Ecology: The species is found in seasonally dry inter-Andean valleys together with Parodia comarapana and Winterocereus aureispinus. The species is abundant and its population is stable. There are no known major threats to this species. 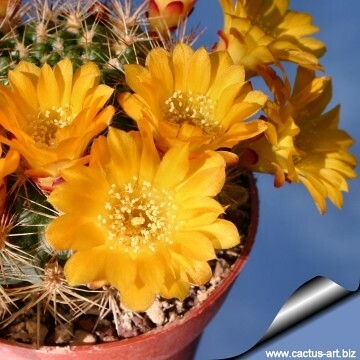 Description: Rebutia neocumingii is a very variable species as to its spines and subtle differences of tone in its yellow to orange flowers. Flowers: Approx. 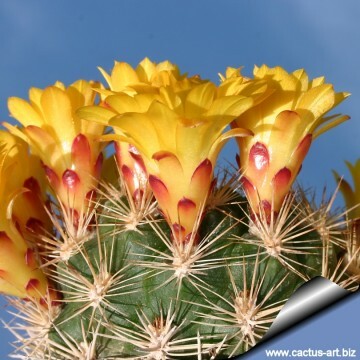 2 cm long, 2,5 cm in diameter, they are produced (unusually) all over the body of the plant especially near the very tips of the stems differing from other rebutias in that its flowers appear very near the meristem as opposed to the lower, stem side and base locations of those others. 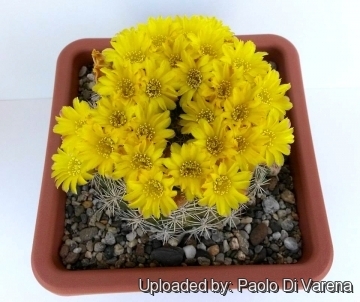 As well, on this and a few other ex Weingartia species, one areole can produce up to 4 flowers. 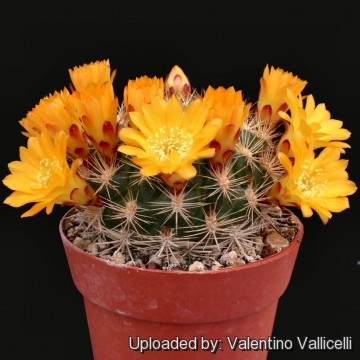 Notes: All the 60 species of genus Weingartia have been transferred to synonymy status under the genus Rebutia; about 45 or so of them as synonyms of two species, Rebutia canigueralii and Rebutia neocumingii. 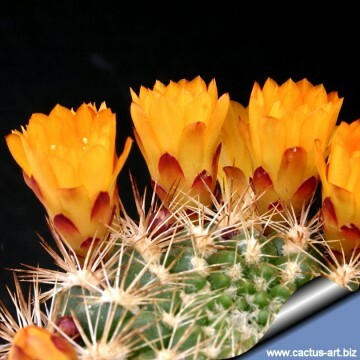 The genus Weingartia was always considered difficult to differentiate from Gymnocalycium, Neowerdermanniana, and Sulcorebutia and its name has had a very eventful history which evidently continues in controversy today. 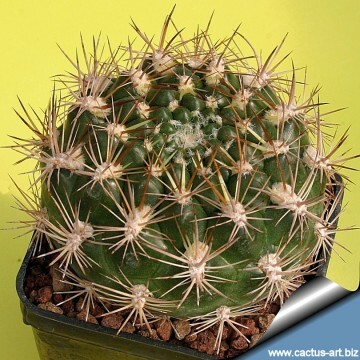 Echinocactus cumingiiSalm-Dyck non Hopffer has been resolved in the Backeberg's new name Weingartia neocumingii. 9) Lowry, M. & Carr, J. 2013. 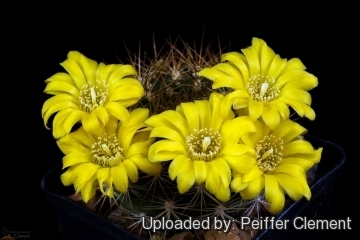 Rebutia neocumingii. In: IUCN 2013. "IUCN Red List of Threatened Species." Version 2013.2. <www.iucnredlist.org>. Downloaded on 01 January 2014.